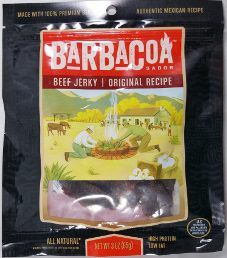 The first review for Barbacoa Jerky will focus on a 3 ounce/85 gram bag of their original recipe flavored beef jerky. 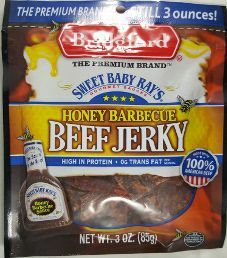 This flavor is described as being marinated with authentic, robust spices with a hint of sweet. The bag was purchased at a T.J. Maxx store in Lyndhurst, New Jersey. 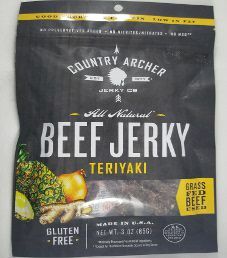 The next review for Country Archer will focus on a 3 ounce/85 gram bag of their teriyaki flavored 100% grass-fed beef jerky. This flavor is advertised as having a teriyaki marinade that tastes so authentic, you might think it’s made in Japan. The bag was purchased at a T.J. Maxx store in Lyndhurst, New Jersey. 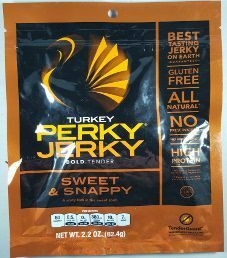 The next review for Perky Jerky will be on a 2.2 ounce/62.4 gram bag of their sweet & snappy flavored turkey jerky. 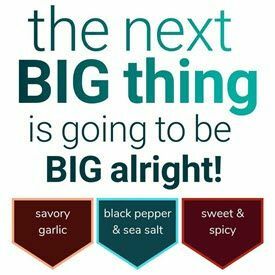 This flavor is described as a spicy kick in the sweet spot. 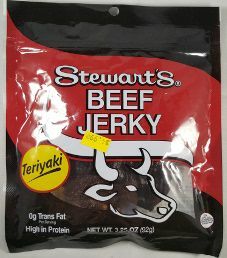 The bag was purchased at a Fairway store in Woodland Park, New Jersey.